Xarelto users have filed formal complaints against the Bayer Corporation and Johnson & Johnson claiming they were injured with internal bleeding, infections, and wound leaks after taking the drug. Some lawsuits involve family members who lost a loved one to a fatal injury after using the anti-clotting medication. in cases built on the pharmaceutical companies' negligence. To date, more than 20,000 lawsuits have been filed in federal courtrooms were injured victims are seeking financial compensation to recover their damages. Rosenfeld Injury Lawyers LLC represents victims who are hurt by taking bad medications and other types of professional negligence. Our law firm has successfully prosecuted cases Xarelto lawsuits to ensure our clients receive adequate financial compensation. Our attorneys are available to answer any legal questions if your injuries were a result of someone else's negligence. Should you have additional questions, we invite you to contact our office for a free review of your legal rights. Xarelto (rivaroxaban) is a popularly prescribed medication used to prevent and treat blood clots to reduce the potential risk of deep main thrombosis (DVT), pulmonary embolism (PE), stroke, and other conditions. Some doctors prescribe the medication to their patients who suffer from atrial fibrillation or have just undergone joint replacement surgery. The US FDA (Food and Drug Administration) approved Xarelto in 2011 to reduce the potential risk of developing DVT after knee or hip replacement surgeries. Soon afterward, the federal agency expanded their approval to include a drug used to prevent strokes in patients with an irregular heartbeat (atrial fibrillation). However, FDA approval in no way means that the medicine is safe. Since the drug's approval in July 2011, the FDA and the Institute for Safe Medication Practices (ISMP) have released safety communications and adverse drug event reports detailing the severe health risks associated with taking the brand-name Xarelto and its generic form rivaroxaban. The ISMP stated in their QuarterWatch Report on adverse medication events that researchers had identified more than 350 reported claims of severe, disabling injuries and deaths associated with taking Xarelto (rivaroxaban) in the first three months of 2012. Their report on adverse events included more than 120 cases of injuries involving hemorrhages and more than 150 cases of blood clot-associated injury, some involving lung blood clots (pulmonary embolism/PE). This side effect was particularly alarming because the drug is designed to prevent the development of PE blood clots. Most of these side effects happened to patients averaging 66 years and age, which is significantly younger than expected. Back then, the Institute discussed what they found with the Xarelto drugmaker Janssen Pharmaceuticals, Inc. but representatives for the pharmaceutical giant sought no need to address safety issues. The company instead chose to attribute the unexpected rate of adverse event reports to the increased use of their newly launched medication. August 2013: The FDA orders Janssen Pharmaceuticals to add the increased potential risk of spinal bleeding to the Black box warning packaging. January 2014: The federal agency warns consumers and doctors that there is no antidote to stop internal bleeding caused by the medication. The FDA also warns patients with prosthetic (artificial) heart valves to not take the medication due to unexpected and uncontrollable internal bleeding. March 2014: The FDA issues additional data warning healthcare professionals on spinal bleeding. December 2014: The federal agency orders the drug makers to add details of new adverse reactions including hepatitis and thrombocytopenia (decreasing blood platelets) that could increase the potential risk of bleeding. May 2016: The Food and Drug Administration warns consumers of the increased potential risk of bleeding when taking Xarelto (rivaroxaban) in combination with SSRI (selective serotonin reuptake inhibitor) and SNRI (serotonin-norepinephrine reuptake inhibitor) antidepressant drugs. Plaintiffs filed the Xarelto injury lawsuits against Johnson & Johnson and Bayer Corporation in 2014. Within the first few years, the companies had still not settled any Xarelto cases. However, with the thousands of pending cases, there are likely to be several thousand more lawsuits filed in the years ahead. So far, the lawsuits that have already been filed share similar allegations. Many of the plaintiffs claim that the pharmaceutical companies failed to perform proper research to identify the Xarelto bleeding risks associated with using the anticoagulant medication. Also, the lawsuits allege that Janssen Pharmaceuticals and Bayer failed to adequately warn doctors and patients that there was no effective reversal agent to stop internal bleeding should it develop after taking the drug. In 2014, a federal judge on the US Judicial Panel on Multidistrict Litigation (J.P.M.L.) merged all the existing cases filed in federal court in the Eastern District of Louisiana. The MDL (multidistrict litigation) judge now oversees the consolidated pretrial proceedings and will participate in potential compensation settlement discussions. In the months ahead, the attorneys working for the plaintiffs and defendants will begin preparing a few “bellwether” cases that will reveal how jurors will resolve future lawsuits, even though their verdict is not binding on those lawsuits. Simply looking through the Panel's decision to allow the plaintiff class to move ahead as one combined group, one can begin to gain a sense of the nature of claims likely to be made against the defendants. The first and arguably strongest argument is that the drug manufacturer and distributors of Xarelto failed to adequately warn patients of the risks associated with taking the medication. For instance, there should have been additional and obvious disclosures on the actual label about such recurring and significant side effects including internal bleeding, blood clots, wound aggravation, and complications related to the taking of other medications. The FDA has even criticized Johnson & Johnson for these absences on several occasions. So, it seems likely that they will resurface once the combined trial begins in Louisiana. Another potential claim the plaintiffs will likely raise is that Xarelto is an unreasonably unsafe medication. Drug manufacturers are required to produce and distribute drugs that do not cause harm or danger to patients. Furthermore, they are required by law to substantially research and inform the public about any potential side effects that the medication might cause. Many organizations, including relevant government agencies, think that Xarelto did neither. Also, receiving the FDA's approval to market the drug does not absolve the pharmaceutical giants from their safety and legal responsibilities or any future damage it might produce. Even at the beginning of Xarelto's young product life, regulatory officials questioned whether the drug could reasonably protect against internal bleeding, blood clotting, and organ damage. Johnson & Johnson failed to answer these questions adequately. Additionally, in the face of more people complaining about significant side effects, the drug maker sought an extension of its product application instead of cautiously considering the safety of the product in the first place. All these considerations suggest that the makers and manufacturers of Xarelto will have a difficult time defending against the claims of these plaintiffs and the many more that are sure to file. Once the bellwether cases have been finalized, the negotiation process will begin to settle thousands of Xarelto cases filed in federal court. Each of the remaining lawsuits will be heard individually or negotiated separately during a settlement meeting out of court. The extent of the plaintiff's damages including past, current, and future medical expenses, lost income, and funeral expenses (in wrongful death lawsuits). Do I Have a Valid Xarelto (rivaroxaban) Lawsuit? You took Xarelto (rivaroxaban) as prescribed by your doctor and suffered injuries including a stroke, bleeding event, or other severe injuries caused by taking the medication. Your loved one passed away after taking Xarelto (rivaroxaban), and as a surviving family member, you are entitled to file a wrongful death lawsuit to seek compensation. There are many thousands of Xarelto lawsuits being handled in state court and federal MDL (multidistrict litigation) court. However, is important to note that time is of the essence. Your compensation claim must be filed before the statute of limitations expires on your case. 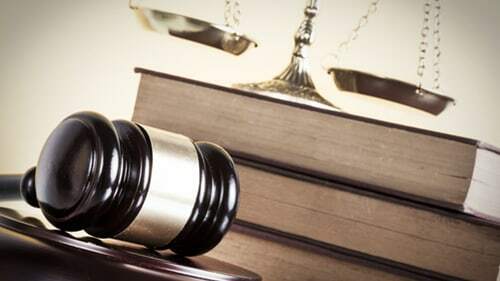 However, determining when the statute expires can be tricky and often requires a personal injury attorney specializes in defective product and bad drug cases. The bad drug injury attorneys at Rosenfeld Injury Lawyers LLC understand that the injuries you have endured are not your fault but the responsibility of the drug maker who manufactured and sold a defective medicine. We have successfully obtained millions on behalf of the victims and their family members to ensure they were adequately compensated to cover their medical expenses, household bills, lost wages, loss of future earnings, pain, suffering, and emotional damage and we can help your family too.